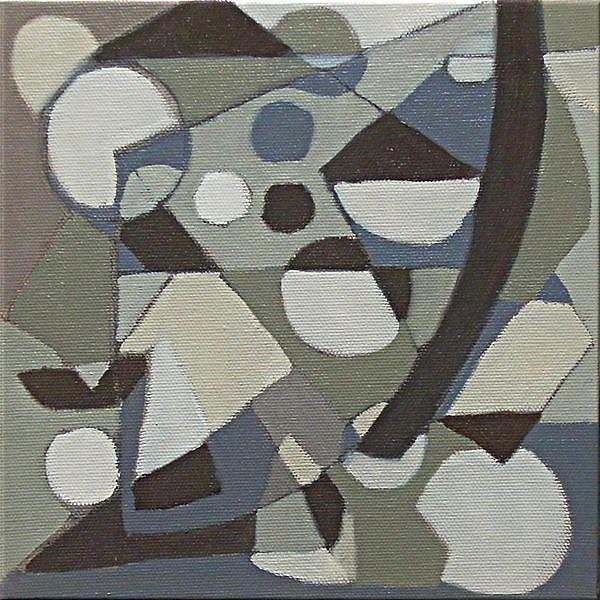 This small painting was done with a limited palette of umber, gray and white. I'm planning on exploring the severely limited palette further. I'm interested in looking closer at value relationships and patterns and this seems to be a good method. After my year on abstracts, I have found that the meaning and pleasure of the geometric abstract is very similar to music (without the spoken word). It really is about pure movement, pleasure in shape and color and most importantly perhaps - process.